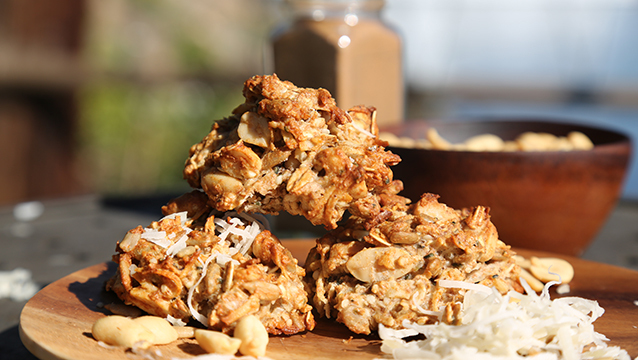 How about a gluten-free, grain free, high protein, healthy pizza after your run or workout? 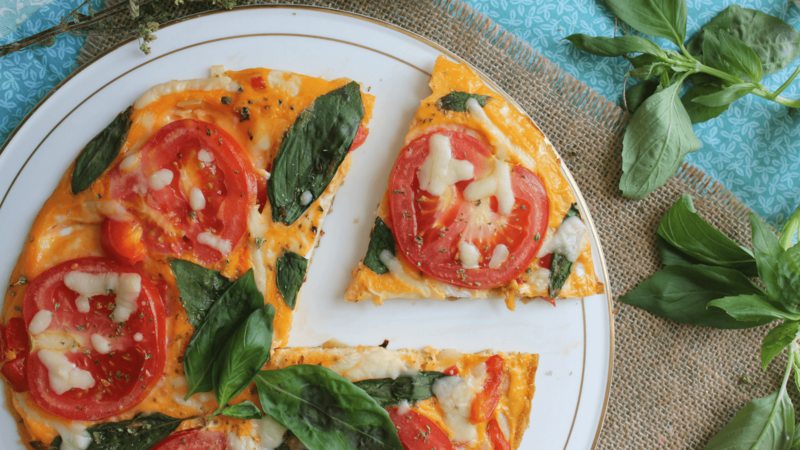 This may be the ultimate "pizza for breakfast" pizza! 1. Begin by chopping the onion and red pepper. Then slice the tomato thinly into 5 slices. 2. Mix the eggs with the egg whites with a folk until they are well combined. 3. Swirl the butter around a non-stick frying pan on a low heat. Now add the onions and red pepper to the pan and soften for 5 mins. 4. Add the egg mixture to the pan and place the tomato slices evenly on top. Cook for 5 mins, or until the bottom of the omelette is cooked. 5. Now season the omelette and sprinkle the cheese, oregano and fresh basil leaves on top. 6. Transfer the pan from the stove to the grill on medium heat to allow the top of the omelette to cook and slightly puff up, This should take 2-5 mins, but keep checking! 7. Cut into pizza triangles and serve immediately.